EHRI Conference in Bucharest on Borderlands: "Borders Are Imaginary." 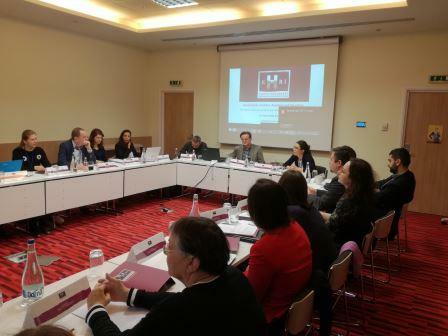 The Elie Wiesel Institute for the Study of Holocaust in Romania (INSHR-EW) recently organized the "Borderlands: Archives, Research and Education" workshop (programme) in the framework of European Holocaust Research Infrastructure project. 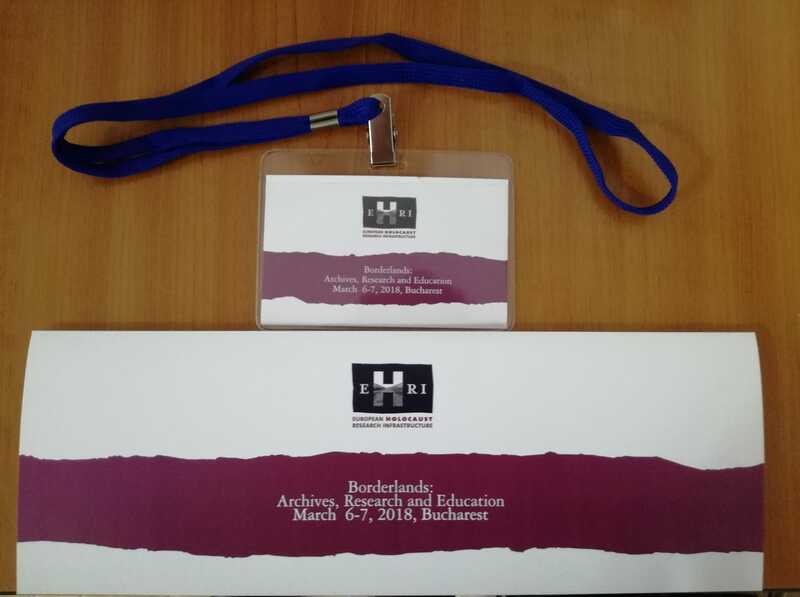 The workshop, which took place 6-7 March 2018, aimed to bring together scholars focusing on Holocaust archives sources, research and education pertaining to the borderlands area of northern Transylvania (Romania), northeastern Hungary, southern Slovakia, Ukraine and Moldova. The workshop succeeded in this objective, bringing together both young and established experts from Ukraine, Russia, Poland, Slovakia, Hungary and Romania as well as from Israel, the United States of America, Georgia. Ireland, Sweden and Norway. All of whom presented accomplished or ongoing researches on various archival sources reflecting the Holocaust events in the Eastern Europe region. Ana Bărbulescu, Head of the Research Department at the Elie Wiesel Institute, welcomed the participants and gave an introduction into the hosting Institute's activities, research and educational projects, and the soon to be established Museum of the History of Romanian Jewry and the Holocaust in Bucharest. The workshop began with a well-received and much-needed theoretical presentation on borderlands, territorial and imagined, by Dieter Pohl (Alpen-Adria-Universität Klagenfurt, Austria). 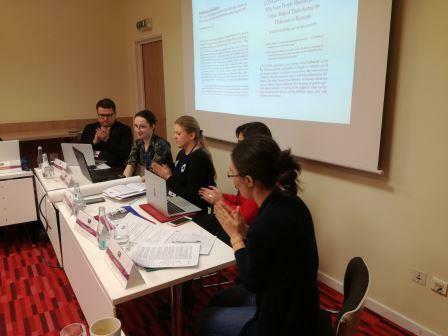 Also well-received was the first panel, the first presentation of which was given by Anastasia Felcher (Sociological Bureau "Ekspertiza", Russia) and focused on the use of archival sources in the historiography of the Holocaust in Bessarabia, Moldova. Also taking part in the first panel was Iryna Radchenko (Ukrainian Institute for Holocaust Studies), who concentrated on the assistance and rescue of Jews in Romania andTransnistria during the Holocaust and its reflection in archival documents; Cristina Dragomir (State University of New York at Oswego, United States) who addressed the Roma genocide and its remembrance challenges, and Piotr Małochwiej (Willy Brandt Centre for German and European Studies, Poland), who discussed war criminal trial depositions as under-utilized material for documenting Holocaust in Nazi-occupied Poland. In the second half of the day another panel brought together Yulia Oreshina (Georgian-American University, Georgia) who presented how oral history testimonies from Jewish survivors in Cluj Napoca can be; and Kirsten Meadow and Elise Christensen (Center for Studies of Holocaust and Religious Minorities, Norway) who gave valuable insight their experience as educators and spoke about how students can use archives to learn more about Holocaust. The last two lectures were given by Alona Bidenko (Uppsala University, Sweden) and Agnes Kende (Central European University, Hungary), who focused on remembrance policies and politics in Ukraine and Hungary respectively. After a productive first day attendees of the Borderlands workshop ended with a guided tour at the Holocaust Memorial in Bucharest, Romania. The second day began with two introductory lectures on the EHRI project. 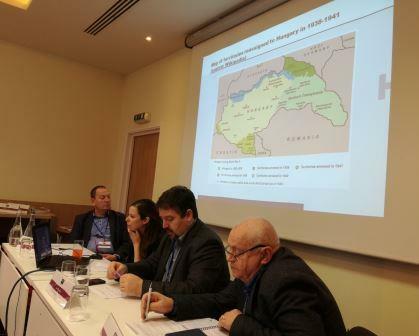 Adina Babeş ("Elie Wiesel" National Institute for the Study of the Holocaust in Romania) spoke about the achievements and future plans of the project while Francesco Gelati, (Belgian State Archives) discussed data integration and automated data import in the EHRI portal. Day two brought together archivists from Israel and Slovakia. In the first panel Daniela Ozacky-Stern told us about the Holocaust-related documents in the Moreshet archive in Israel, one of the oldest Holocaust archive in the world; Jan Hlavinka discussed about the Holocaust-related documents of Hungarian provenance in both Slovak archives and the EHRI Portal, and Richard Pavlovic spoke about the Holocaust-related documents held in state archives in Kosice, Slovakia. The next panel was especially interesting and was dedicated primarily to sources authored by victims and how they can enrich Holocaust research. Sarah Rosen (Yad Vashem, Israel), talked about northern Transnistria and how Ukrainians, Jews and Romanians are depicted in Lipman Kunstadt’s diary; Dana Mihailescu (University of Bucharest, Romania), gave an interesting presentation on the transcultural networks configurations in northern Transylvania as represented in Eva Heyman’s wartime diary, while Lea Prais (Yad Vashem, Israel), introduced us in the experiences of Slovakian women in the Gestapo offices in Auschwitz and their contacts with the outside world. Lastly, Laszlo Veszprémy (Eötvös Loránt University, Hungary), focused in his presentation on the Zionist rescue efforts in Hungary in 1944-1945. In the last panel of the Borderlands workshop Iemima Ploscariu (Dublin City University, Ireland), presented on Neo-protestants and the Holocaust and the reconstruction of the history of interethnic religious communities targeted by Antonescu from archival documents. She was joined by Attila Jakab (Holocaust Memorial Center, Hungary), who talked about how Hungarian political and confessional journals represented the elimination of the Jews from society in 1944, while Ionut Biliuță (Gheorghe Şincai Institute for Social Sciences and the Humanities, Romania), focused his presentation on the difficulties of accessing confessional Holocaust-related archives. 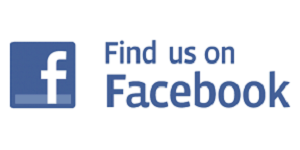 “Excellent organization and very useful presentations. An event of high quality” says Attila Jakab, Hungary. The workshop ended with participants sharing their opinions and with closing remarks from the organizers. The workshop was well received by all participants and we believe our aims were achieved. It was a very good opportunity to share professional and scholarly experience in the field, and to receive feedback from discussants. Moreover, the young scholars participating at this workshop benefited from the experience, comments and inquires of senior experts. The networking aspects of workshop should not be ignored either, during these two days the participants had time to meet, socialize and discuss in more informal ways.